Morgan Matthews’ 2015 comedy/drama addresses the challenges and beauties of autism, focusing on a socially awkward teenage math prodigy, Nathan (Asa Butterfield). For Nathan, who was diagnosed with being “on the spectrum” and a mild case of autism at a fairly young age, connecting with others around him, including his mother Julie (Sally Hawkins), is a struggle. Instead, he finds comfort in a world which he can comprehend and which has meaning; the world of numbers. This is aided by his private lessons with secondary school teacher Martin Humphreys (Rafe Spall), who he seems to develop a rather humorous relationship with. He drives Nathan to take part in the International Maths Olympiad (IMO), where, for the first time, he is in close proximity with other children, alike and unlike himself. It is his trip to the IMO in Taiwan, with the Great Britain team as well as the Chinese team in particular, which allows Nathan to develop relationships further, and slightly overcome his social awkwardness. X + Y hosts an impressive British cast, with Rafe Spall stealing the show in particular. Mr Humphreys’ sarcastic personality gels perfectly with Nathan’s short and blunt tendencies, so much that any scene with the two brings humour to the feature. Eddie Marsan plays the usual irritating, condescending and overly-competitive type, taking on the role of the Great Britain’s team leader and teacher Richard. There are great performances from Jake Davies and Alex Lawther who play teammates Luke and an autistic Isaac. Jo Yang plays Zhang Mei a member of the Chinese team who has a specifically large impact on Nathan’s development, and Sally Hawkins gives a graceful and realistic performance as a love-starved mother who longs for her autistic child to one day simply show her some level of affection. 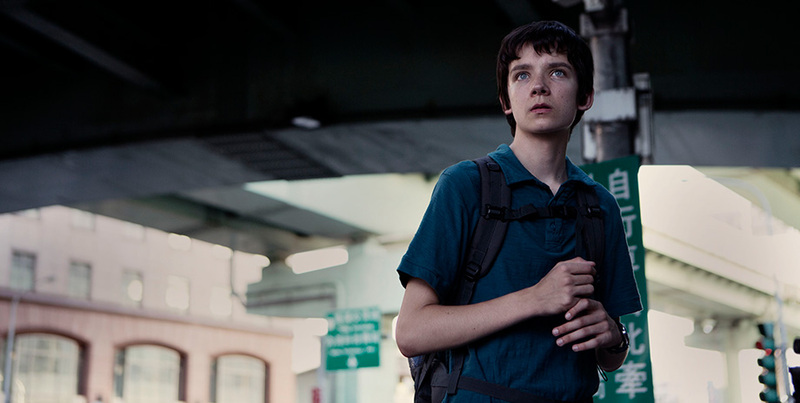 Most importantly, Asa Butterfield, who viewers may recognise from previous films such as The Boy in the Striped Pajamas (2008), Hugo (2011) and Ender’s Game (2013), impressively portrays an autistic child, drawing upon social awkwardness and an obsession with numbers. Some experts may say that his character development is fairly unrealistic, and therefore misrepresentative of true autistic behaviour, which perhaps hinders the two hour feature slightly, but this is not down to Butterfield’s performance. However, it is great to see such an intuitive representation of a family dealing with autism on the big screen, and is certain to be a film which hits home with a lot of families this year. Recommendation: This film is definitely worth a watch! Although it may not amaze viewers as much as seeing autism stage-show ‘The Curious Incident of the Dog in the Night-Time’ at the Gielgud theatre in London would, it is still a great and maybe a more accessible insight into the world of an autistic child.